Yet Another Tribute to Stan Lee (but only because he deserves it)! This book didn’t win a Pulitzer, but maybe it should have! I’m always going to think fondly of Stan Lee. Stan Lee was a pop culture stud. This guy churned out comic heroes in the 1960’s faster than James Patterson can pump out “thrillers.” Yeah, Stan Lee was a shameless self-promoter, but I don’t care. Yeah, he hadn’t written any good comic books since maybe 1968, but I don’t care. Yeah, he had a really cheesy mustache, but so would I if I could get away with it. Stan Lee created Spider-Man, the Fantastic Four, the Hulk, the Avengers, Captain America, Thor (well, the Norse created Thor, but Stan Lee made him relevant), and the X-Men (plus a whole lot more), and he created most of them within a few years of each other. Most writers would give anything to have a 5-10 year creative run that Stan Lee had in the 1960’s. I’m in awe of the guy. I usually don’t write about celebrities when they pass because everybody else on social media does that. I’ll make an exception for Stan Lee. He’s one of my favorite authors ever, even if he’s just thought of as a comic book writer. Stan Lee’s Marvel comic books got a lot of kids through troubled childhoods in a time when there was no cable or internet or cell phones. Stan Lee’s Marvel comic books got a bunch of kids who hated reading to suddenly become interested in the written word. I saw it happen with several of my friends. I went through a phase where I loved comic books. I used to collect them, but that was before I had a wife and kids. Comic books now cost between $3.00 and $5.00 an issue, and they take about 5 minutes to read, so that’s not a good value for my money. I guess I now love the memories that older comic books, especially the comics written by Stan Lee, provided for me. I had a couple chances to stand in long lines and then pay a lot of money for Stan Lee’s autograph and a picture, but I didn’t do it. Maybe I should have. He’s one of only a few people I’d do that for. But I believe standing in line and paying a lot of money isn’t really meeting somebody. You haven’t really met somebody if he/she won’t remember you afterwards. That’s just my way of looking at it. I’ve only met two celebrities in my life (but I didn’t have to pay to meet them). One of them yawned in my face, and the other hit on my wife. If you’ve watched any of my videos, maybe you’ll understand why the celebrity yawned, but I’m proud that the other celebrity hit on my wife. Those two celebrities have nothing to do with Stan Lee, I know. I just like telling people about the two celebrities. Now I kind of wish I had stood in line to “meet” Stan Lee. If he had yawned in my face, I could have laughed about it. If he had hit on my wife, I could have acted outraged. Man, that would have been a great story to tell. 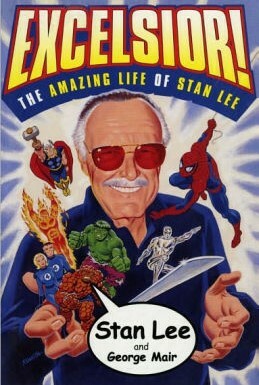 One of my favorite books is Excelsior! The Amazing Life of Stan Lee by Stan Lee and some other guy whose name is on the cover. There’s a lot of interesting information about Stan Lee, including some stuff he drew for the U.S. Army during World War II. 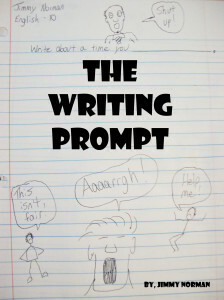 It’s kind of like a comic book version of On Writing by Stephen King. A lot of writers believe every aspiring author should read On Writing. Maybe every aspiring comic creator should read Excelsior!. Excelsior! didn’t win a Pulitzer Prize, but maybe it should have. I’ll go even further. Stan Lee should have won a Pulitzer Prize just for being awesome. I think from now on I’ll say Stan Lee won a Pulitzer Prize for Awesomeness. If I repeat it often enough, everybody will start to believe it. I usually don’t lie, but this one would be for a good cause. I send heartfelt thoughts and prayers to all of Stan Lee’s friends and families. May he forever Rest in Peace. « A Major Television Network Stole My Idea!